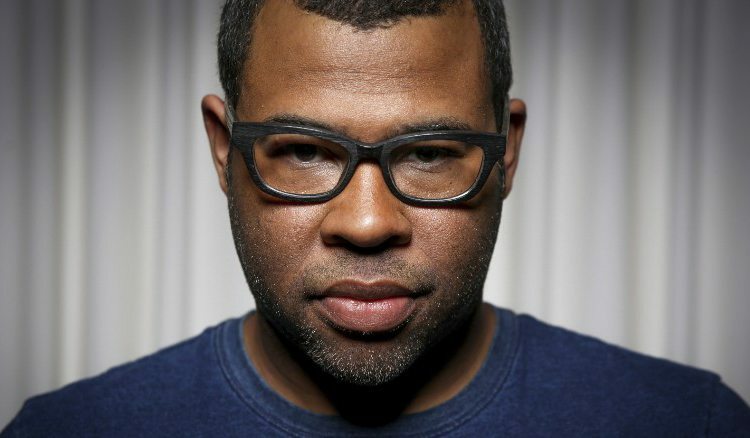 Jordan Peele to Receive "CinemaCon Director of the Year Award"
Peele Made History by Becoming the First African-American Writer/Director to Cross $100 Million With His Debut Film, "Get Out"
Washington D.C. (March 20, 2017) – Jordan Peele, the breakthrough writer/director of Universal Pictures’ smash “Get Out,” will receive the “CinemaCon Director of the Year,” it was announced today by CinemaCon Managing Director, Mitch Neuhauser. CinemaCon, the official convention of The National Association of Theatre Owners (NATO), will be held March 27-30, 2017 at Caesars Palace in Las Vegas. Peele will be presented with this special honor at the “CinemaCon Big Screen Achievement Awards” ceremony, which takes place on the evening of Thursday, March 30, at The Colosseum at Caesars Palace, hosted by the Coca-Cola Company, the official presenting sponsor of CinemaCon. In Universal Pictures’ “Get Out,” a speculative thriller from Blumhouse and the mind of Jordan Peele, when a young African-American man visits his white girlfriend’s family estate, he becomes ensnared in a more sinister real reason for the invitation. Equal parts gripping thriller and provocative commentary, “Get Out” is produced by Blumhouse’s Jason Blum, as well as Sean McKittrick, Edward H. Hamm Jr. and Peele. The film also stars Caleb Landry Jones, Stephen Root, Milton “Lil Rel” Howery, Betty Gabriel, Marcus Henderson and Lakeith Stanfield. Among its many accolades, the film has earned a 99% Fresh on Rotten Tomatoes. Previously, Emmy Award winner Peele was the co-star and co-creator of Comedy Central’s “Key & Peele”. The hit series garnered more than 1 billion online hits, and in addition won a Peabody Award, an American Comedy Award, and earned 12 Emmy Award nominations during its five-season run. Peele also recurred on the Emmy Award-winning FX series “Fargo”, was a series regular on FOX’s “MADtv” and received an Emmy Award nomination for his music video “Sad Fitty Cent.” Peele starred in the New Line feature “Keanu,” alongside Keegan-Michael Key, which Peele also produced and co-wrote with Alex Rubens. Upcoming in TV, Peele is executive producing the new Tracy Morgan comedy show for TBS. CinemaCon will attract upwards of 5,000 motion picture professionals from all facets of the industry – from exhibition and distribution, to the equipment and concession areas – all on hand to celebrate the movie-going experience and the cinema industry. From exclusive Hollywood product presentations highlighting a slate of upcoming films, to must-see premiere feature screenings, to the biggest stars, producers and directors, CinemaCon will help jumpstart the excitement and buzz that surrounds the summer season at the box office. The National Association of Theatre Owners (NATO) is the largest exhibition trade organization in the world, representing more than 33,000 movie screens in all 50 states, and additional cinemas in 91 countries worldwide. NATO’s membership includes the largest cinema chains in the world and hundreds of independent theatre owners, too.